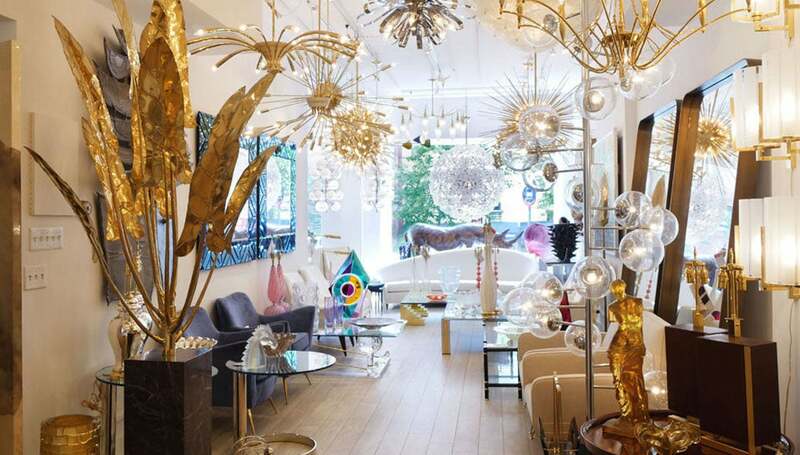 “I buy what excites me; if I love something, I know my clients will be drawn to it as well.” With showrooms in Manhattan and Bridgehampton, John Salibello is responsible for helping to establish Mid-Century Modern as a distinct trend in interior design. 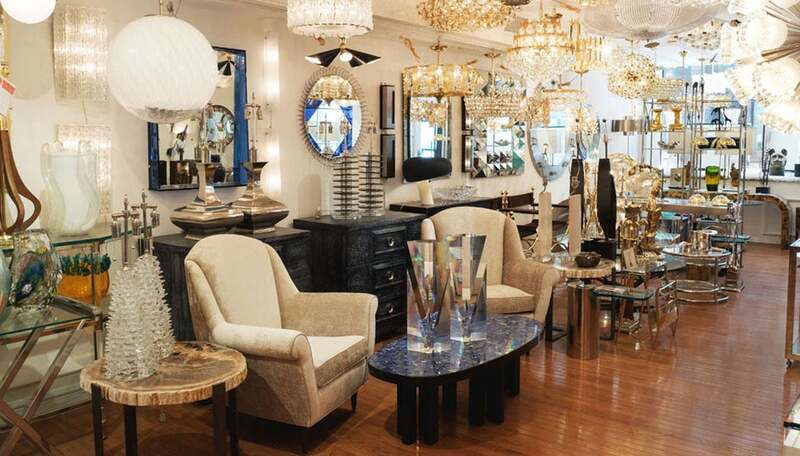 His four showrooms are filled with an incredible selection of lighting, furniture and art pieces. This inspiring assortment involves a commitment that only someone with a tireless passion could foster. Pair of obelisk-form coral stone floor lamps. Unusual Space Age, Murano glass flush mount fixture by VeArt. Signed. Sculptural "tome" coffee table composed of balanced travertine slabs. Stylized lacquered wood chairs with ovoid backs and seats by Stella Durera. Pair of unusual, indian rosewood armchairs. Unusual space-age, Murano glass flush mount fixture by VeArt. Signed. Paul Frankl, John Stuart Inc. Pair of white lacquered wood chests of drawers with brass cross pull details by Paul Frankl for John Stuart Inc. Signed. 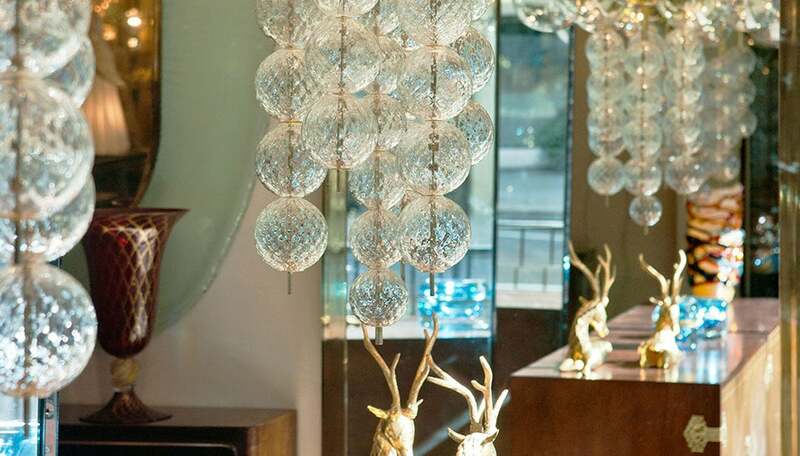 Pair of unusual, geometric, polished brass table lamps with polished agate sphere details. Pair of travertine block table lamps with concentric square motif. Flush mount fixture composed of curved glass elements with frosted stripe motif. Pair of sculptural metal sconces featuring inset carved glass elements by Poliarte.